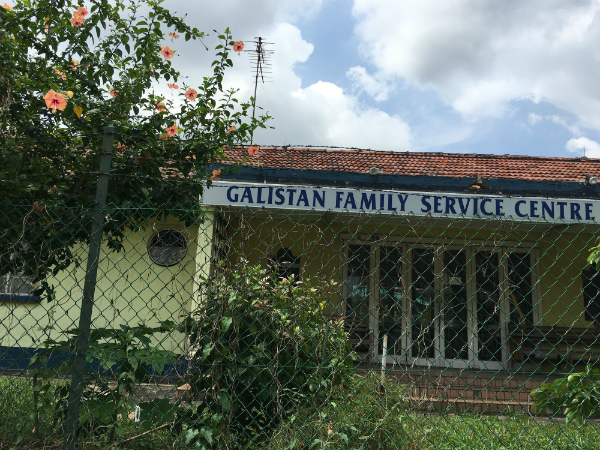 at the end of our walk yesterday, we came across the galistan family service centre. it was a simple, single storey, slightly rundown building surrounded by a metal fence, but there was a welcoming air to it. we had just turned into choa chu kang road from upper bukit timah road. aj said these centres helped needy families, also the many foreign workers on the island. 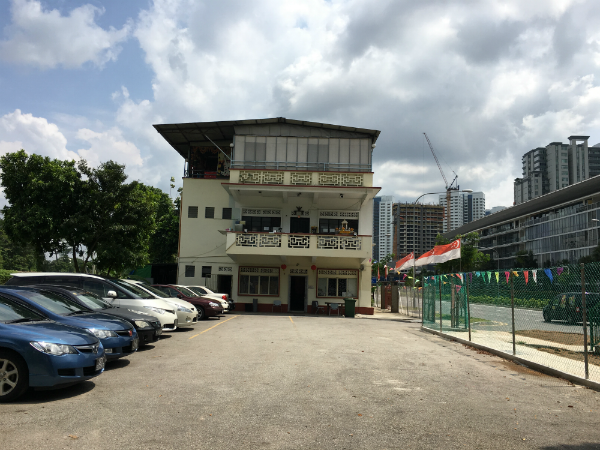 the banners hanging on the fence gave details of recreational programmes for maids, or “helpers” as they are called here. 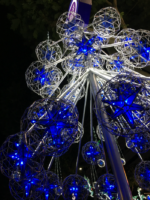 i wondered if ibi – much more than a”helper” she – might want to come for one of these. we were at a junction again. this time with galistan avenue. i turned left, wanting to see the estate with pretty houses, but not really thinking too clearly. the sun had been particularly brutal all along. i was almost dizzy by now; when suddenly that word galistan struck a synapse somewhere. galistan? what could it possibly mean? it sounded like a word that belonged more to central asia or a silly hindi joke but certainly not right by a choa chu kang road. 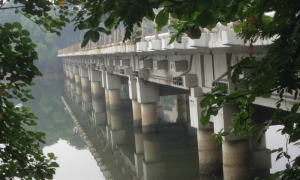 aside: choa chu kang always reminds me of pck or phua chu kang, the ah beng contractor from the popular channel 5 tv show phua chu kang pte ltd. when i first came to singapore, there was no cable, and two shows on the local network – under one roof and pck – had me giggling in the evenings after work… they also got me acquainted with everyday singapore life and language. actually, both were pretty neat sitcoms and sort of real and unabashedly singaporean. anyway, now pck has taken off his mole, and i am gawking at galistan. so i asked aj: what’s galistan? he wasn’t sure, though he tried to come up with some interesting theories. the sun had got to him too clearly. back at home, i searched the net. galistan is an armenian name. 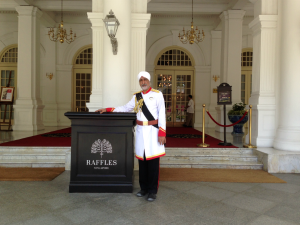 i knew singapore had an armenian community and that the sarkies brothers had built the raffles hotel. 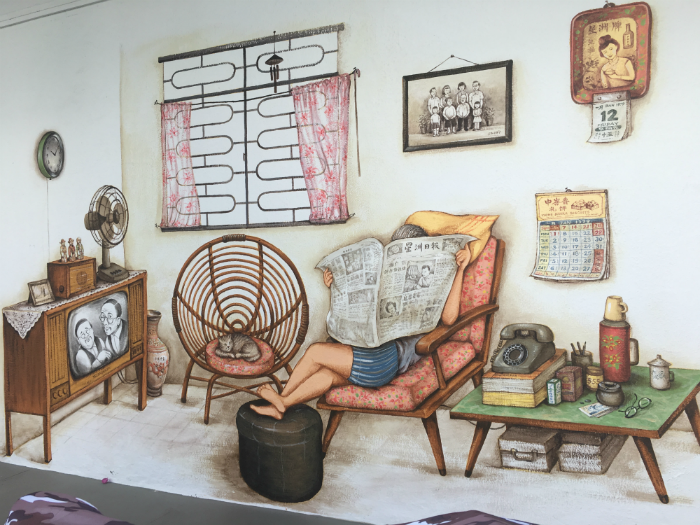 but i discovered soon that wasn’t the only noteworthy contribution of one of singapore’s smallest minorities. between 1820 and 2000 no more than 700 armenians lived here according to this interesting article. only twelve families stayed for three generations. from this small group came two other “famouses” of singapore. her national flower and her most well known english daily. in the 1880s, ashkhen hovakimian (or, agnes joaquim, the anglicized version of her name) created a hybrid orchid, crossing the burmese vanda teres and the malayan vanda hookeriana, two popular plants in the island’s gardens. the new plant was hardy, loved the sun (unlike me), blossomed well, and had really beautiful flowers. agnes joaquim was the first woman in the world to breed a hybrid orchid. it would be known as vanda miss joaquim. the other armenian contribution was, and i gasped here literally, the straits times. the newspaper was established in 1845 by catchick moses. he bought the printing press to help out a fellow armenian. not too long after setting it up however, moses sold the paper to the editor, robert woods. galistan avenue recognises emile galistan. 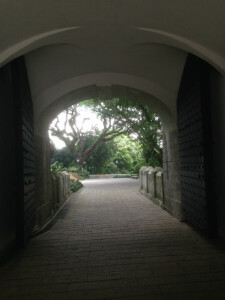 he was with the singapore improvement trust and a founder of the orchid society of south east asia. 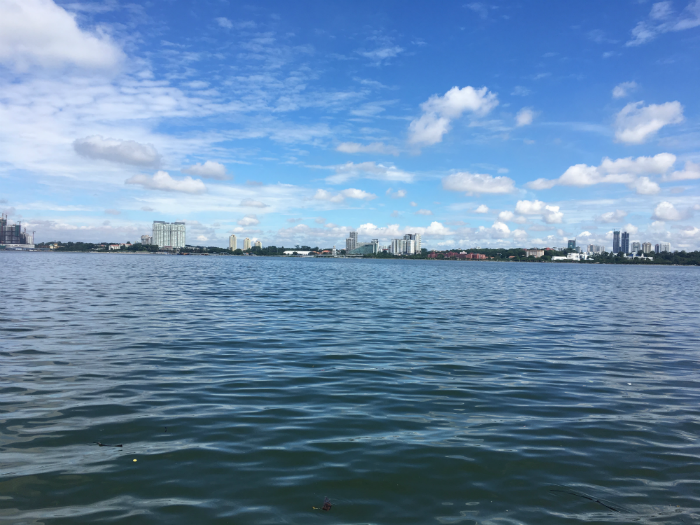 when i told my husband excitedly about all this, he recalled the wealthy mr gaulstian (anglicised form of galistan) who owned several properties in calcutta. park street’s famous queen’s mansions, in fact, used to be called gaulstian mansions and the name was changed post queen elizabeth’s coronation in 1953. he also mentioned one coco makeritch, a dapper armenian gent found at the races and other “society” events, in his white suits and pale ties. i think the pink tie left a lasting impression. 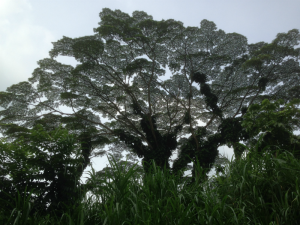 aj and i had started our walk near gombak drive in bukit batok, where the sprawling mindef (ministry of defence) grounds start along upper bukit timah. 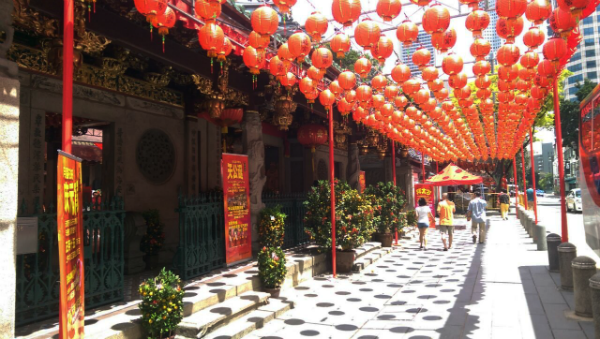 came across a shophouse on the way, which had both a chinese clan association and a hindu temple in it. 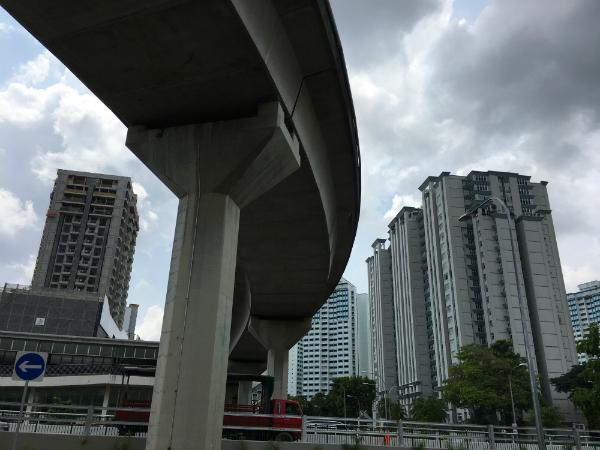 there were buildings old and new all around, a surge of hdbs at bukit panjang. were they packed really close together? driverless lrt (light rapid transit) trains moved overhead taking commuters to the main mrt station. 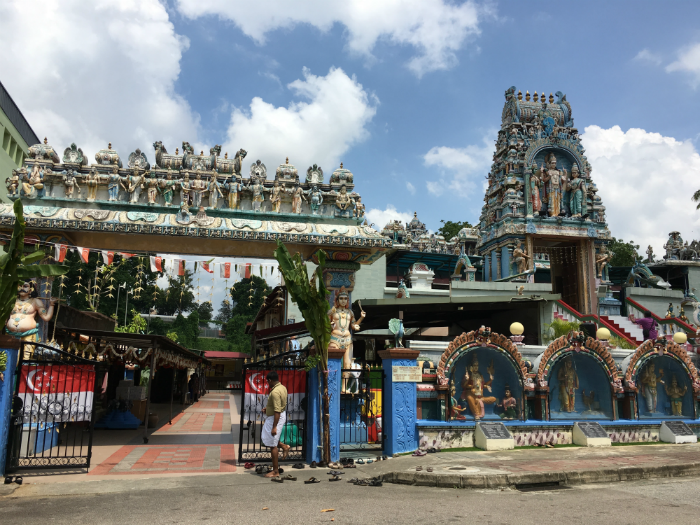 the murugan hill temple was on our left. it’s pretty and had peacocks dancing on the gate. the bird is murugan or kartik’s vahana/vehicle (none of our deities were willing to walk, given the chaos of the sun i don’t blame them). 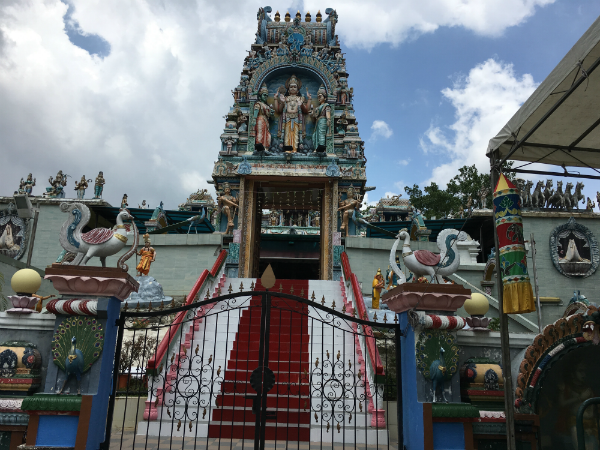 it’s of course a south indian temple, as most are in singapore… colourful gopuram, men in mundu, slippers on the pavement, flowers in hair, worshipers. in bengal, i don’t think kartik gets a temple all to himself. he’s durga’s son, very good looking, also sort of vain. the great thing about walking with aj is his enthusiasm no matter what the road is like. it was his birthday, he was happy, his stories even more bizarre than usual. his explanation for why the road might be called galistan was inaccurate but entertaining. enough drama and gore in it. after seeing the banner at the family service centre, he said, in english football league a top player is called ibi. 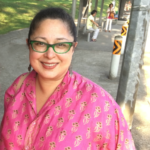 happy birthday, aj… thanks for all the #sg50 walks (and really who says we can’t carry on with them in sg51). 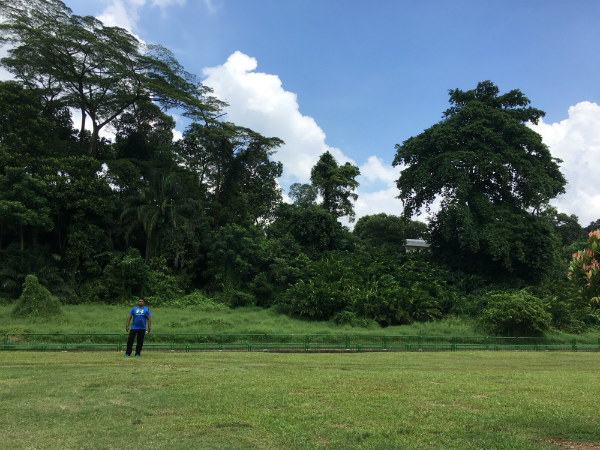 mindef grounds and camps behind him, aj on his birthday, happily rushing off the road onto green belts, always on the lookout for an adventure. 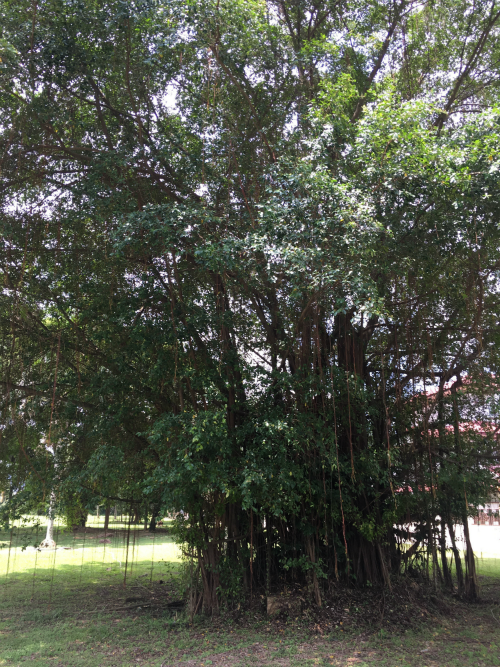 another beautiful old tree of singapore.